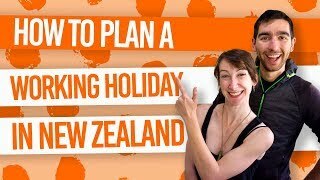 Travelling to New Zealand in December? Then you’ll need this quick guide to the New Zealand weather in December. December is a great time to travel New Zealand as it’s the first month of summer here in the Southern Hemisphere. While this means the weather is generally good for road tripping around the country, it also means that everyone else is doing the same thing. Locals in particular use December for domestic holidays thanks to the long Christmas holiday period. Nevertheless, Christmas in New Zealand is an experience well worth having! For more information on when to visit New Zealand, see When is the Best Time to Go Backpacking in New Zealand? You also might like our Month-by-Month Guide to the Best Places to Visit in New Zealand. Here’s a few handy tips so you’re ready to travel New Zealand in December! Apply high factor sunscreen! New Zealand gets a hammering from UV rays due to the hole in the O-zone layer just between Australia and New Zealand so applying plenty of high-factor sunscreen is no joke. Insect repellent is a must, especially when travelling the South Island in December. Book your transport, accommodation and activities as soon as possible during this busy tourist season. Expect many shops and services to be closed on the 24th, 25th and 26th of December due to the Christmas holidays. It is illegal to drink in public places in urban areas so keep that in mind during the festive period and New Year’s Eve. Keep it in the bar! For more tips, see 10 Essential New Zealand Travel Tips. New Zealand experiences slightly different climates around the country. Take a look at the typical temperatures across the areas you will be visiting to get a more accurate idea of the typical temperatures in December in New Zealand. While New Zealand experiences more frequent clearer days in December, it also experiences more strong hot northwesterly winds. New Zealand experiences less rain than the rest of the year. However, some areas experience far more rainfall than others. Here are the average rainfall numbers for New Zealand in December. For all your sun-lovers, these are the best destinations to experience summer activities. Abel Tasman National Park – this national park is famous for it’s pristine golden sand beaches. For more places to visit and December events, see New Zealand in December. Add these items to your December packing list for New Zealand! For more ideas on what to pack, see The Ultimate Packing List for an Extended Trip in New Zealand.